This recipe requires only a few ingredients and a food processor! You combine it all, pulse it, make the burgers and grill them! Combine the cilantro, green onions, and ginger in a food processor and pulse. 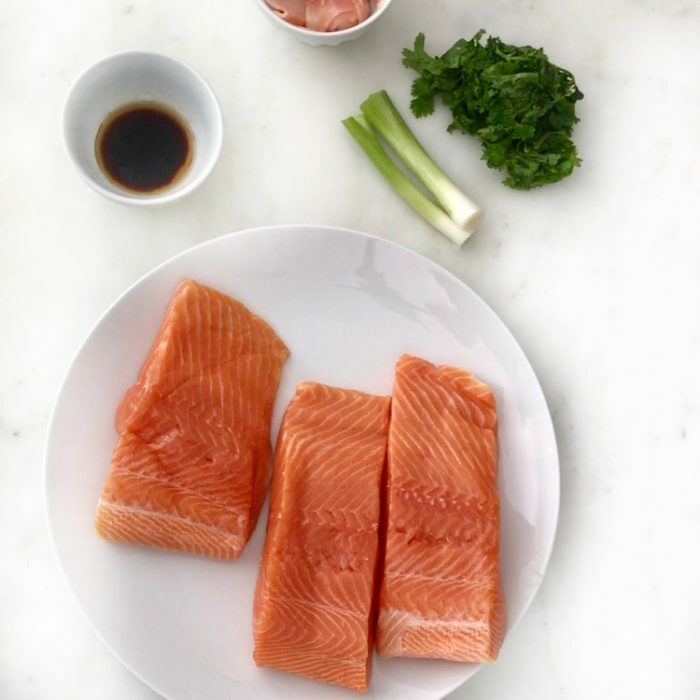 Add the salmon, the soy sauce and sesame oil and pulse just 4-5 times. Don't overdo it otherwise it will be too mushy! Form 5-6 burgers with the mixture. Either cook right a way by grilling 3-4 minutes on each side or store in the fridge until ready to use.